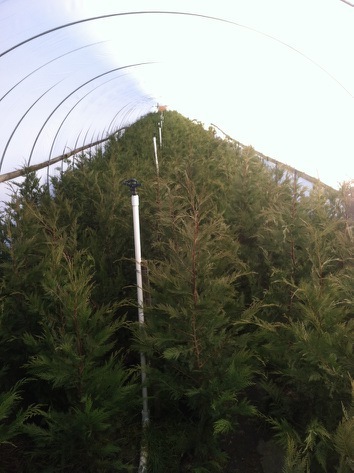 Rob's Leyland Cypress is a family owned and operated business and has been in operation since 2000. Rob owns and runs the business and his mother, Bonnie , runs the office-taking calls and setting up appointments. We take pride in our work...Rob insists that each tree be planted with the same care he would use to plant a tree for his mother and has taught each employee that he has his method and motto "Don't plant it unless you plan on planting it like you would for your mother!" 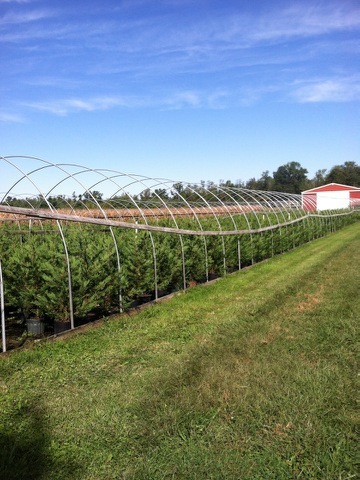 This being said, you can rest assured that each tree will be hand walked and planted with care on your property. 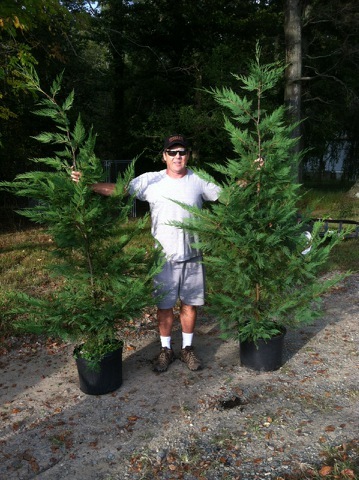 We at Rob's Leyland Cypress believe that the customer comes first and will do anything and everything in our power to make sure that you are 100% satisfied with the trees that we will be planting for you.​ Questions? Feel free to give us a call or shoot us an e-mail. We would love to hear from you! Feel free to look through our photo gallery below. We will be adding and updating photos throughout the year!